When waste is created, every effort should be made to ensure that it is either reused or recycled. 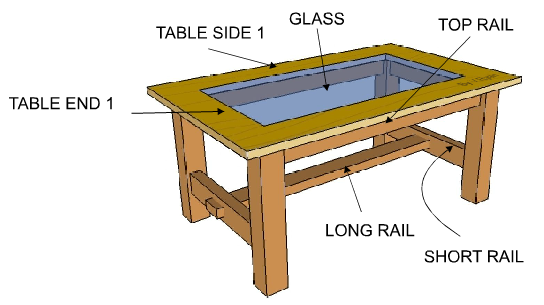 A good example of this is seen in the manufacture of the table seen below. The table is manufactured by a small company. The table top is composed of four sides, with glass in the centre. One of the sides is seen below. It has been cut from a board of pine and the waste is two triangular pieces. 1. The pieces are used as scrap, for practice cutting and shaping. 2. They are used to protect the table when G Cramps and Sash Cramps are used in the gluing process. 3. They are burnt in the companies wood burner to produce heat for the workshop. Burning wood is looked upon as environmentally friendly as it saves the burning of fossil fuels such as oil. These produce more pollution than burning wood. 4. If the company produces too much waste than it can handle, it sells it to another company that converts it to wood chippings. This is used in the production of chipboard and MDF. The wood is simply recycled. Waste wood being burned to produce heat and hot water for the workshop. Waste wood being used with sash clamps. 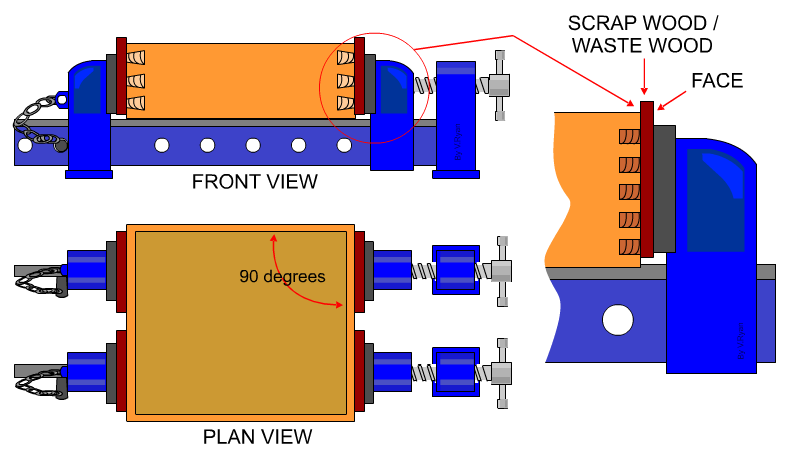 The waste wood protects the surface of the piece being clamped.